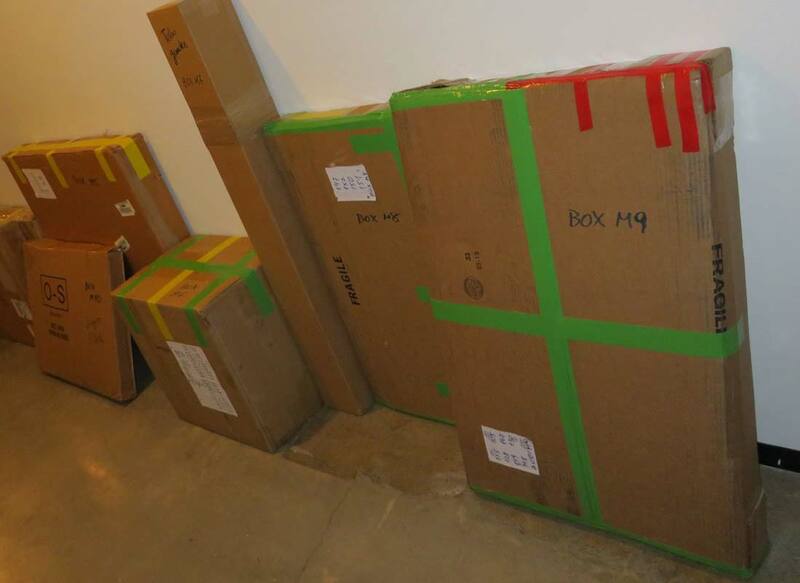 The public should be on the lookout for large, brown cardboard boxes wrapped in colored tape. LOS BANOS, Calif. (KFSN) -- Thieves intercepted a large collection of paintings in Los Banos, they were sitting in a truck, late Friday night on their way to an artist. Update on Tuesday's stolen art. Part of the artwork has been located and recovered in Los Banos and will be returned to the Montalvo Art Center Thursday. Deep in the Sequoia National Forest, among living giants and dead trees, Maximo Gonzalez found inspiration. He posted this video online to give us a glimpse of his work over the past seven years. A collection of paintings mapping out the devastation from wildfires across California. "I can't imagine all these people who lost their houses, all these animals who lost their homes and the trees who die and disappear," said Gonzalez. Gonzalez had nearly 300 finished pieces they were boxed up and shipped from Dallas to the Montalvo Arts Center in the Santa Cruz mountains. Late Friday night, the driver stopped at a motel in Los Banos to rest and by morning all but 26 were gone. "My pain is extremely painful - I feel super bad." Ivan Buenader who works with Gonzalez says a group of artists, including them, drove to Los Banos in hopes of finding the stolen art. They also made fliers, filed a police report and looked through dumpsters with no luck. "Maybe when they found they were paintings, they might consider it's not something of their interest so they would dump them somewhere," said Buenader. Gonzalez says the art is not worth money in the hands of a thief. The value, he says is not even tangible. "I feel the loss, I feel the loss," said Gonzales. He says the biggest loss is the awareness the collection could have spread about climate change and everything that has been wiped out by the wildfires. The artist said the collection took him six years to create and he is pleading for its return. The paintings are all signed by Maximo Gonzalez. If you know the whereabouts of the paintings, see any boxes, or hear of anyone selling paintings please call the authorities.